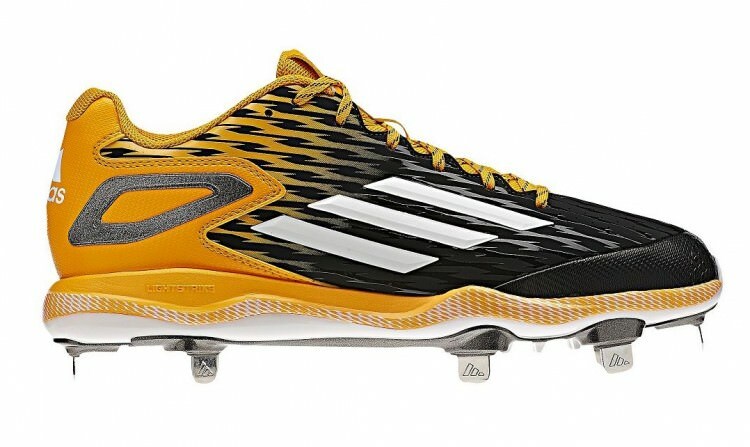 Last postseason, Lorenzo Cain stole the show in the adidas PowerAlley 2. Seeing him dash across the outfield, flying to balls in the gaps, diving to snare balls inches from the ground. The cleat stuck in my head, the simplicity of the design, the perfection of the colorway, the whole thing. As is typical of new models, the cleats were available to the pros first and shortly later to the public and would continue to be the primary model for the next calendar year. Without any showcases or mad media frenzy, Adidas recently distributed the PowerAlley 3 to their players after giving them the Afterburner 2.0 about a month earlier. However, unlike the dramatic updates on the Afterburner, The PowerAlley swaps the synthetic leather toe overlay for a fuse one and retains every other element from the previous iteration. The shape of a few panels shifts, the heel clip changes shape, but all in all the PowerAlley stays the same. So with the lack of platform changes, the new model is more of an aesthetic update than a performance overhaul, look at the Nike Air Show series for a parallel. Once delving into the aesthetic debate of a cleat, facts no longer apply and it becomes purely subjective. The new print on the upper improves greatly on the previous version. The aggressive, lightning bolt pattern replaces the chain link on the previous version. On some colorways, the pattern remains black while the upper fades from black to the team color. This creates a much more appealing aesthetic with depth and texture. 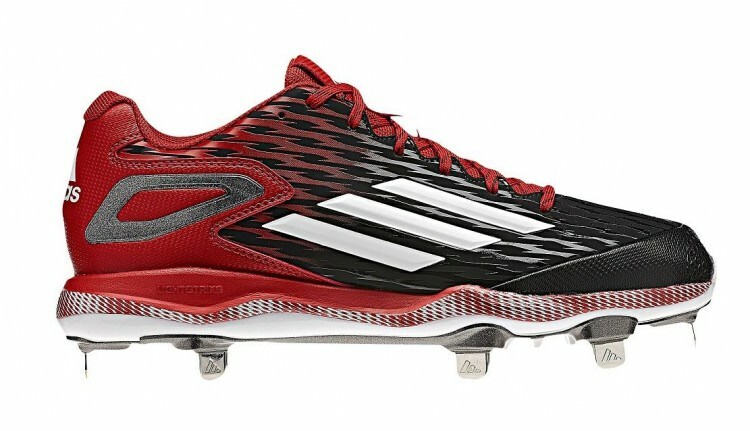 From this standpoint the new model leaps past most adidas baseball creations. On the midsole, a subtle lightning pattern reappears in a miniature version. The pattern creates densities which appear as dashed vertical lines along the midsole. Reminiscent of the Yeezy Boosts and the new Tubulars, the midsole stripping seems to be one of adidas trends for this coming season. It creates another layer of depth and texture to the cleat and highlights the midsole, which on TV makes the cleat standout and makes the players look more explosive. One of the apparent tech changes according to the adidas tech sheet is a switch from standard EVA foam in the midsole to Litestrike EVA. When taken at adidas’ word, one would assume the new model to be lighter, however, the PA 2 is actually lighter by 0.1 oz compared to the PA 3 according to Eastbay. The weight difference is negligible. Combined with the lack of significant materials being added to the upper, I would guess that adidas simply used the same foam under a new moniker. The Ironskin toe cap most definitely is just a rebranding of Adi-Tuff. The extra layer of TPU texture should do its job and protect the underlying toe cap from extreme wear. However, it is not guaranteeing you won’t blow right through the toe cap. The adidas PowerAlley 3 is available in 4 different iterations; mid and low, as well as molded and metal in each. 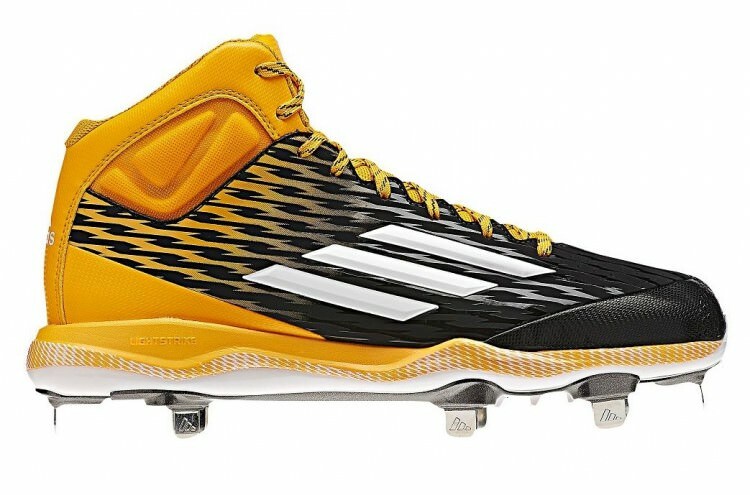 Adidas offers these cleats for the very cheap (relative to the market) prices of $60-$80 in 12, yes 12 (!!!) colors. If the aesthetics are worth $15 to you then I’d recommend the PowerAlley 3, however the PowerAlley 2 in metal is $60. If performance is your main concern, I’d suggest going with last year’s model. Get the PowerAlley 3 here.